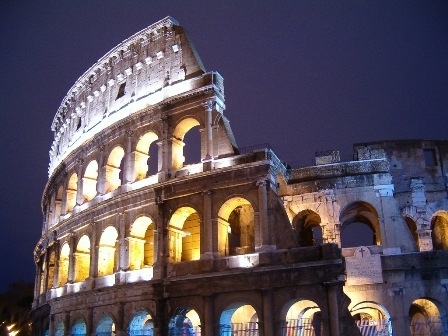 Also this year you can visit the Colosseum by night. “The Moon above Colosseo” is the main event of the summer archaeological season: the guided tour leads through the monument enlighten by the charming atmosphere only the Colosseo can suggest. You will walk through the monument, reaching the most important spots, included the underground. A new and striking lighting provides a magical atmosphere over the entire cavea. On the first floor the exhibition “Constantine 313 AD”: over one hundred and sixty precious finds from all over Europe. The tour ends on the lookout Valadier and the spectacular view of Constantine Arch and Palatine slopes.